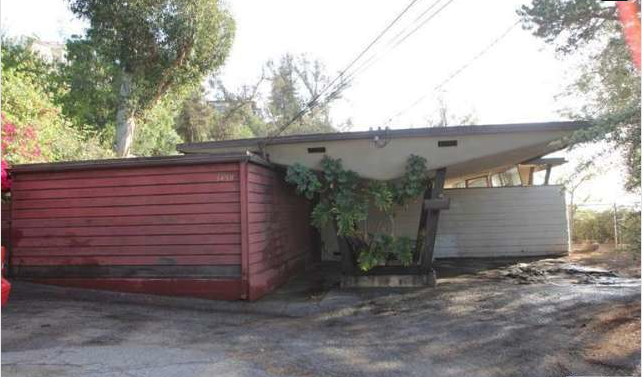 Like a confirmed siting of the Lochness Monster, rumors began swirling of a lost John Lautner coming to market but, unlike Ole’ Nessie, those rumors ended up being confirmed as truth with 1430 Avon Terrace. 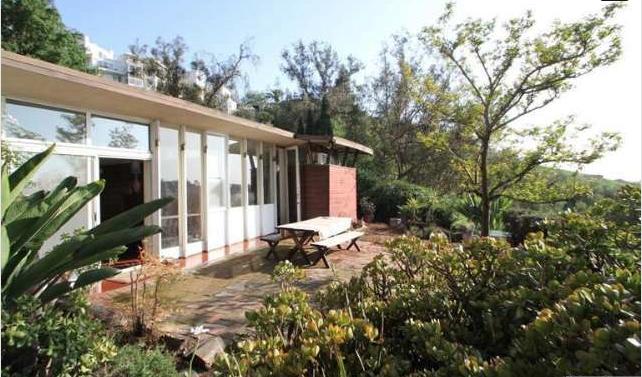 Of the commissioned John Lautner residences in L.A., most are familiar with the Hollywood Hills’ flying-saucer Chemosphere, Silver Lake’s gorgeous Silvertop, and Glendale’s idyllic Schaffer House, and it’s an amazing treasure to have one in Echo Park. After 65 years in the care of one owner, this Mid-Century architectural by one of the American greats comes to market for the first time at $999,000. Now before you say to yourself, “Wow, that’s a bargain!” be sure to scroll through the photos below as some serious TLC will be required. 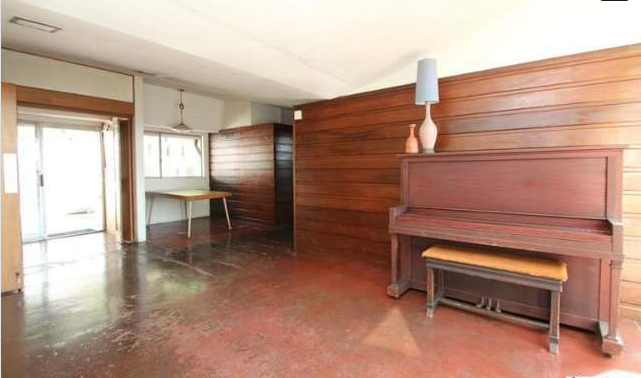 That doesn’t mean it won’t go for well over its asking price. In the archival footage, it was truly a beautiful home to behold. 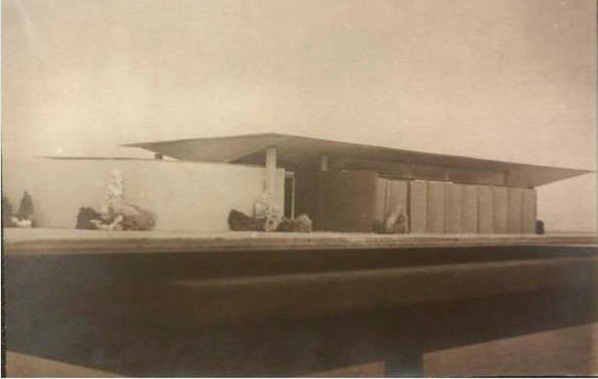 John Lautner’s designs, along with Wright, Schindler, Neutra, et. 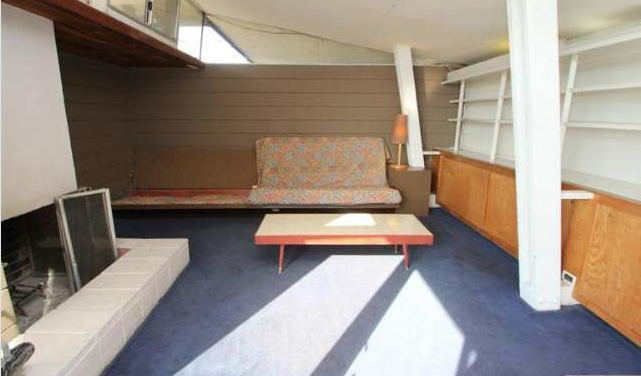 al., helped define iconic American Mid-Century Modernism that dots Southern California and represents an era. 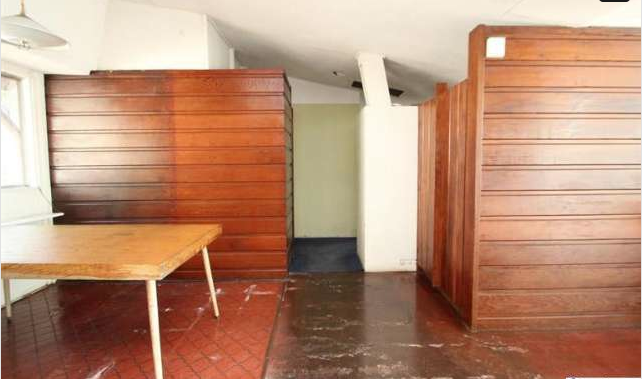 Today, things aren’t quite what they used to be, but what defines a Lautner is all there. For one, it’s on a sloping hillside of Elysian Park, which Lautner preferred for the expansive canyon views and the challenges and privacy of the site. Second, his use of multiple materials such as plywood, steel beams, plate glass and pressed concrete are on full display–with a open-concept floor plan. 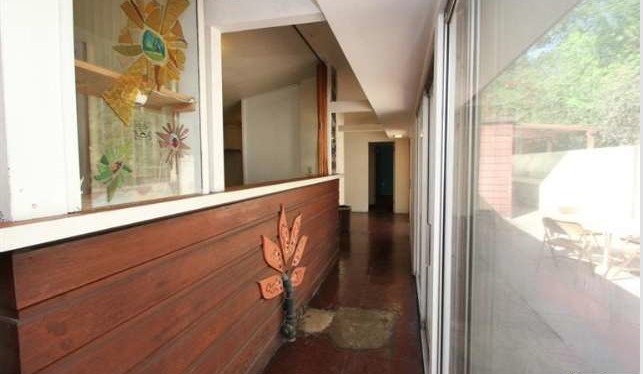 With three bedrooms, 2 bathrooms and over 1,800 sq/ft, this is an easily livable piece of Mid-Century art. A red hue on steel beams–gasp, they’ve been painted white!– along with a thorough cleansing and a few high end appliances couldn’t fix. 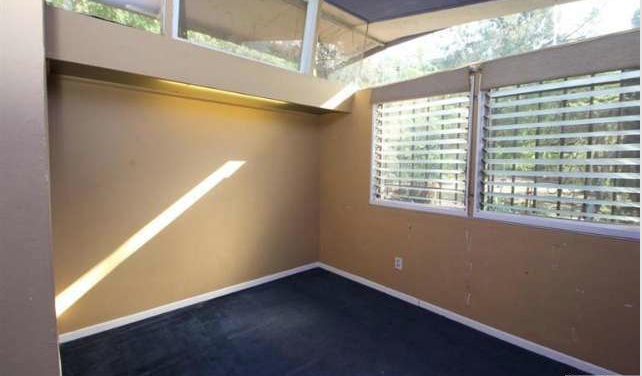 A guest bedroom with light-wells and geometric sheets of glass, in true Lautner form. 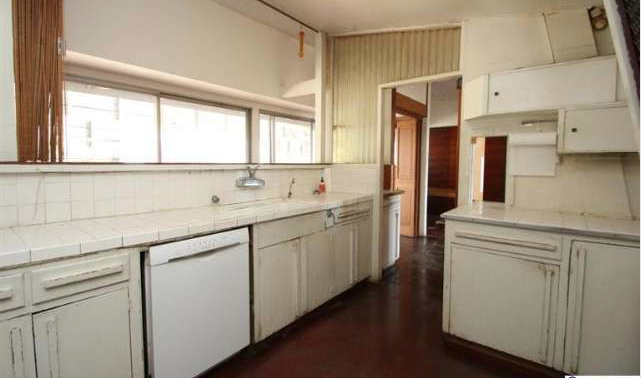 Even in the condition it is now, this is a beautifully-designed home with the bones all in place. 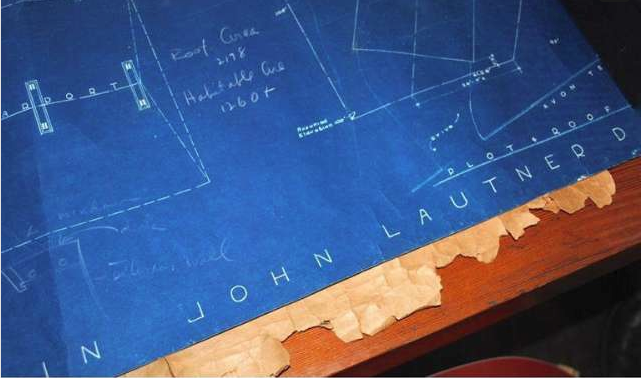 Though a substantial amount of work is needed to rehabilitate it, it’s not hard to see what this “lost” Lautner could be. 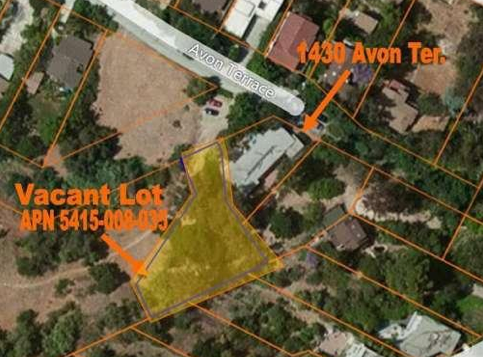 To break the bank on an amazing restoration, buy the vacant lot adjacent (adding 10,000 sq/ft) for $275,000 to build a swimming pool and grounds to match. Steven Gutierrez-Lovner of JohnHart Realty has the listing.